2 weeks annual leave …. where to go? To visit our boat of course!. In fact, it is the second time we have visited La Rochelle in the last 18 months. In May last year just after we had ordered the build of Scout, we decided to go to France and visit the builder and the factory where she was going to be built. 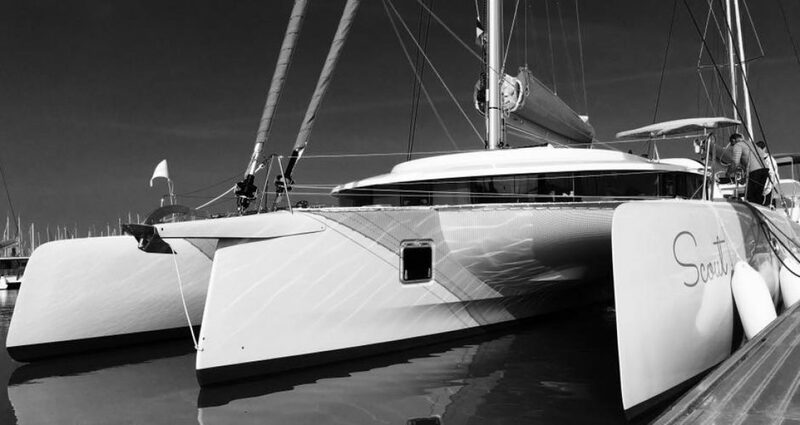 Up until now we had been dealing with our agent in Australia, Multihull Solutions, but wanting to get closer to the source, we combined our short annual leave break with a drop in to France. Yes, a long way to go for 2 weeks but we couldn’t keep away. It was great to meet Eric Bruneel and his team and it confirmed to us that we were on the right path in choosing a Neel 45 trimaran. 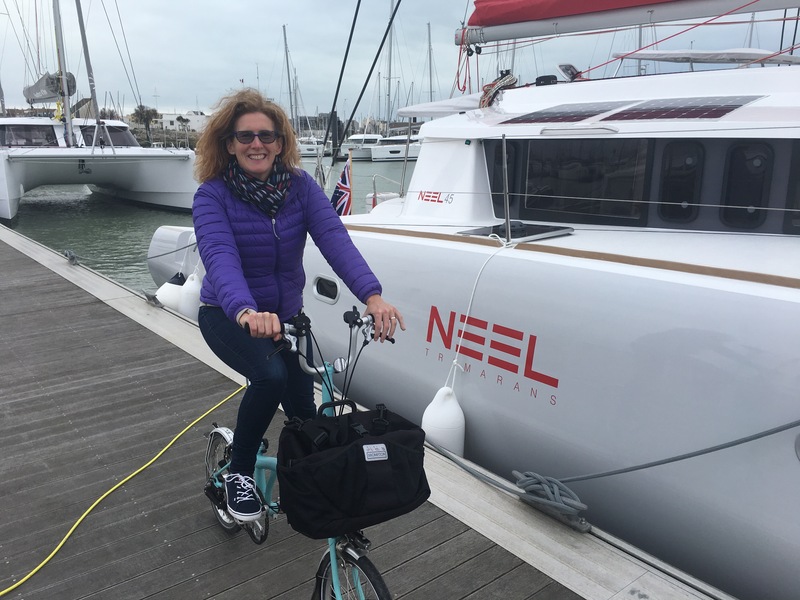 Our visit also coincided with a Neel 45 that was just about to be launched and the first Neel 65 Trimaran, nearing completion also. Very industrious and impressive factory! This November, annual leave rolled around again for Mike and we decided again we had to visit La Rochelle. But this time our Scout was waiting for us. The time in La Rochelle also gave us the opportunity to make some contacts with chandleries, open an account and search the local stores for purchases for next March.We certainly feel better prepared for our arrival next year and can do some arm chair internet shopping from home in the meantime. Categories: cruising, marathon, sailing | Tags: cruising, La Rochelle, marathon, marathon des Alpes-Maritime, neel 45, neel trimarans, running, trimaran, yacht | Permalink.